Welcome to Valley Decorating & Painting Supply Centre, Canmore's leading independent retailer/wholesaler of paint and decorating products. Valley Decorating Centre is a full-time paint dealer with knowledgeable, friendly, professionally-trained personnel with years of experience in the coating industry. Supplying interior and exterior paints, stains, varnishes and lacquers. 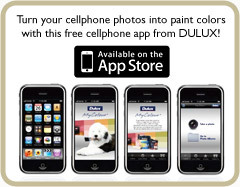 Products from leading manufacturers such as Dulux, Cloverdale, Chemcraft, Beckers-Acroma, Flood, Zinnsers and many more! Valley Decorating Centre has been taking care of the painting and decorating needs of Canmore and the Bow Valley area since 1994. Located in the Elk Run Industrial Centre at #164 - 105 Bow Meadows Crescent we are Canmore's best choice for full-service paints, stains and lacquers. Don’t see something you need? Call us at (403) 678-6899 or email us and we’ll be happy to assist!